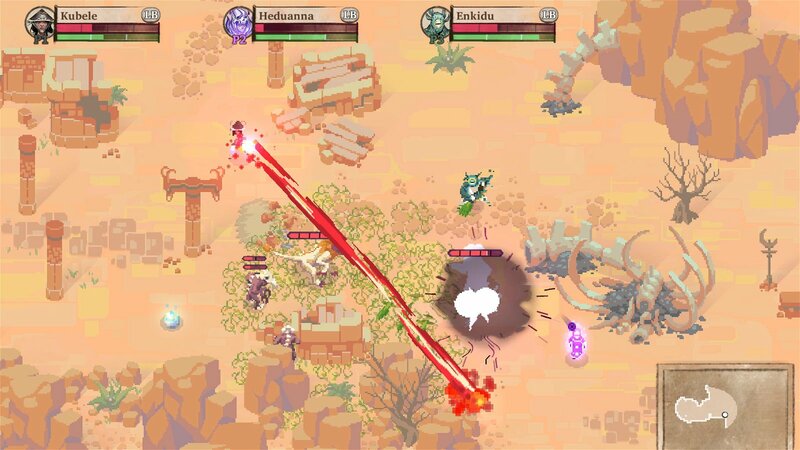 Moon Hunters is described by its developers Kitfox Games as “a co-op personality-test RPG about exploring an ancient, occult world that’s different every time.” In actuality, it is closer to a top-down Zelda or Diablo-style game that can be played with up to four players locally or online. The player’s time is split between exploring randomly generated levels and having conversations with NPCs. Combat is similar to most top-down hack-and-slash games, with each of the six playable characters having their own unique basic, special and dodge attacks. Conversations with NPCs grant labels as well as upgraded stats, and can also change the outcome of the game, with multiple endings on offer. Characters are customizable with different colour schemes, as well as unlockable alternate costumes. You can rename your characters as well. The cast on offer is refreshingly diverse, and nearly every character has a different colour scheme to make them appear as a different race—an option I wish more games offered. Playing with multiple people is simple enough while playing locally, just connect four controllers and you’re good to go. Playing online is a different story, as you’ll have to forward ports, configure IPs, and pray to the internet gods that you’ve done everything correctly. While it works well enough, Steam invites and a server browser would be much better. It should be noted that playing online is still considered in beta, even though the game is about to release. 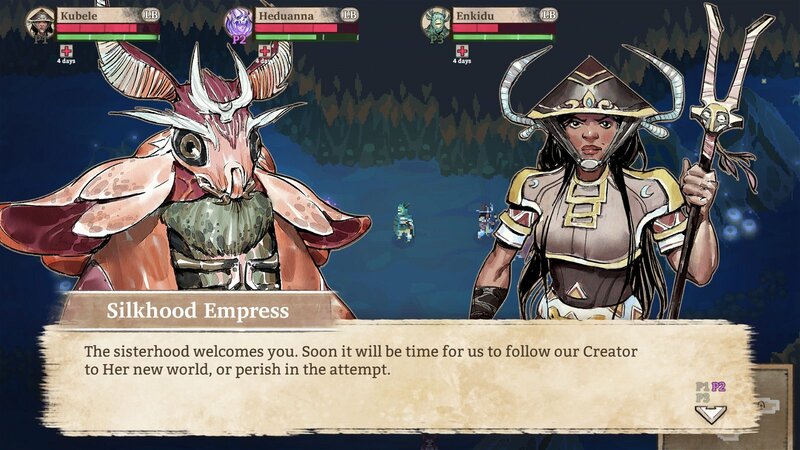 A full playthrough of Moon Hunters can be completed in around an hour, but this is the kind of game you’ll want to play through multiple times as it has unlocks that make it feel similar to a rogue-lite. For example, your first playthrough you might unlock the ability to be part of a different town for subsequent playthroughs, the capacity to talk to the dead, or even a new character. At first, I thought this was a clever way to keep players interested in the game, but it eventually became clear this is just to stretch out the small amount of content on offer here. While I’ve only been able to achieve a couple of the game’s endings, I get the feeling I’ll have to replay it over and over in hopes of coming across the correct levels and NPCs I need to get the other endings. Not a great way to add play time to your game and if anything, you’re just disrespecting your audience’s time. The same can be said about the game’s levels. Calling the levels “randomly generated” stretches the definition of the phrase, as levels are made up of premade bits and pieces pasted together. They feel as randomly generated as shuffling a small deck of cards, in that you’re going to see the same few cards over and over, and most of them look similar. What makes it even worse is that different environments also have to be unlocked, so on the first playthrough, there are only a couple of environments to encounter. By my third or fourth playthrough, I was already recognizing areas that I’d came across before; by my seventh I was annoyed at how similar levels ended up being. The similarity is, unfortunately, a running theme for Moon Hunters. The pitch for the game was building your own mythology, but it never really feels that way. Instead, you’re given different dialogue options to choose from based on whichever NPCs are experienced. Which, while they may influence which ending you receive, mostly feel empty. It never feels like your choices have any impact. Instead, each choice just has an outcome that is typically minor, such an NPC being happy or sad, which then results in buffing your characters stats based on the outcome. Dialogue decisions almost exclusively buff your characters stats; only one time in my playthrough were stats negatively impacted which was remedied one level later by an NPC removing a curse that had been placed on me, and, of course, buffing my stats some more. What little narrative is found in each hour-long playthrough isn’t fleshed out enough to be that engaging. On the night of the Moon Feast the moon fails to rise in the sky, so as a worshipper of the moon you set out to find out why and try to set things right. Sure, there are dueling religions that worship the sun and the moon, but they aren’t proper time or development to really appreciate what could have been a really interesting story. Each character plays differently enough to be interesting, and you’ll certainly find a character that fits your preferred playstyle. There are brawlers, mages, healers, and ranged characters to choose from, most of which have good synergy with each other. While combat is somewhat fun, the AI is terrible. Enemies will typically target the first player they come into contact with and chase them with no real pattern, just a straight line behind them. Most combat ends up boiling down to dodging away from characters, attacking from afar, rinse, repeat. When enemies do manage to catch up with you, their attack animations take long enough that most all attacks are easy to dodge, a problem that even affects bosses. Bosses’ AI is especially terrible, as they can easily be put down by one player with no challenge whatsoever. 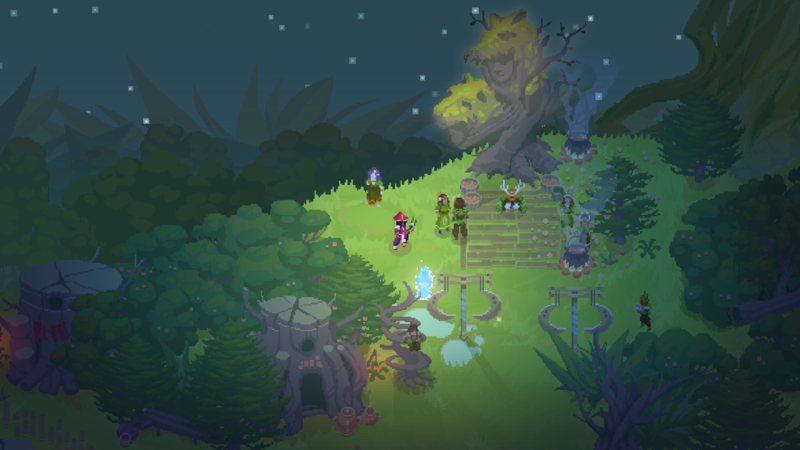 Visually, Moon Hunters is gorgeous with a nice mixing of pixel art, dynamic lighting, and watercolour art. The pixel art on offer here is a real testament to what can be achieved with the style, and when combined with the lighting offer something that feels fresh instead of trying to feel nostalgic like many titles do. The soundtrack is probably my favorite part of the whole experience, as it feels like a mix of chill spiritual kind of music and Enya. So basically it feels like Enya, and I’m okay with that. I found myself humming along to the sounds in my head, even if some of them are only a few repeating bars. One particular track that stands out has lyrics that are warped, and seemingly playing backward. In my time with the game, I experienced at least five crashes, with the final one causing my game to no longer start, even upon reinstalling it unless I run it in Windows 8 compatibility mode. Upon launching the game you’re met with a loading screen that takes nearly 30 seconds just to load the title screen, and that is loading the game from a SSD with an Nvidia GTX 980. The developers at Kitfox Games have pushed out numerous updates leading up to launch this week, which shouldn’t be a thing that is needed on a self-published game. If you don’t have a publisher breathing down your neck, take your time and release the game when it is properly finished and ready to go; you only get one release and one set of reviews, so don’t blow it. Though a couple more weeks in the oven wouldn’t have fixed the lack of content. In the interest of fairness, the review build we received was still marked as a beta build, but it’s our job to report on our experiences, not to make excuses. I do hope that many of these issues see a resolution in the live build. So is Moon Hunters worth the $15 asking price? Honestly, it is hard to recommend; there just isn’t enough substantial content, and what is here is stretched extremely thin. 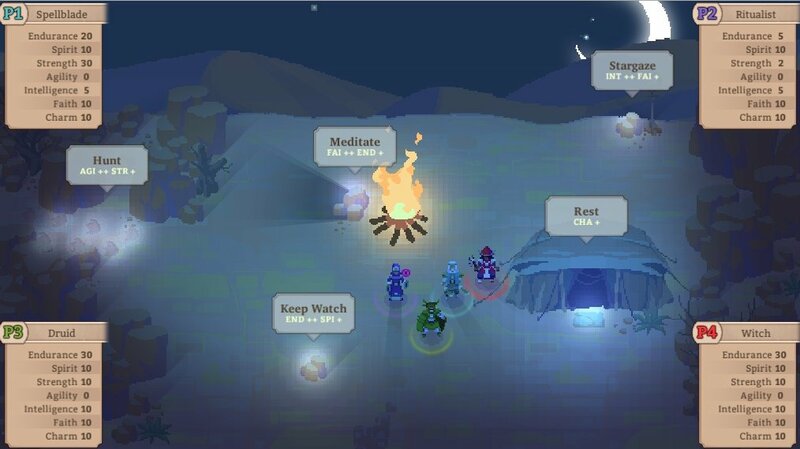 If you have friends that like Zelda or Diablo and want to play a casual cooperative game together for around an hour, it might be worth picking up, but playing solo, I’d say skip it. 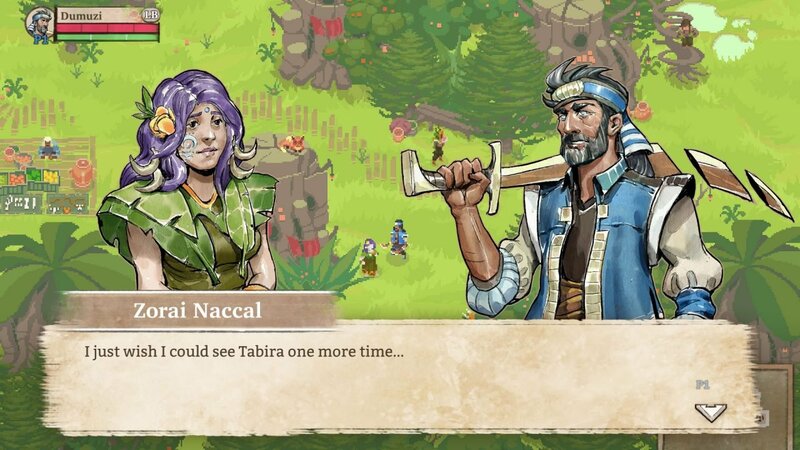 A pixelated Diablo-like with a beautiful presentation and an unfortunate lack of content, Moon Hunters is hard to recommend to anyone other than people with three friends locally.